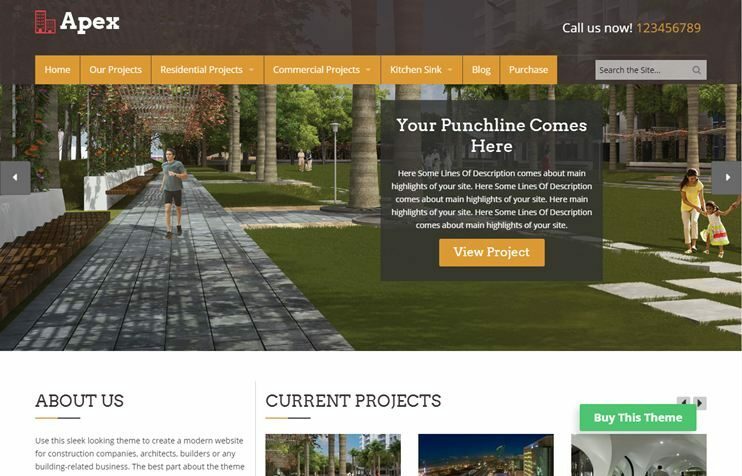 Finding a perfect WordPress themes for architects website can be little tricky. It’s not that there are fewer options available for the for architects. You’ll find plenty of them. But the difficult part is to select the one that has the features to let you create what you desire. 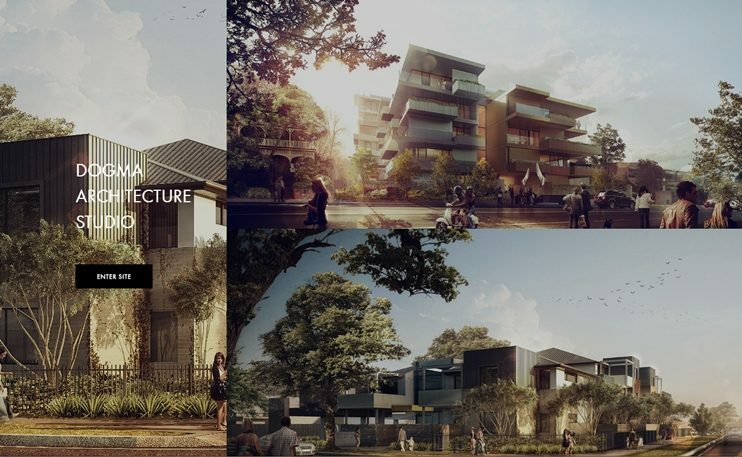 Here are some beautiful and feature-packed architect themes of 2019. The themes in this list exhibit different features. You can have a look at each of these and find out which theme offers you the feature/s you need. All of them are highly customizable and flexible. And the customization is possible with easy options. 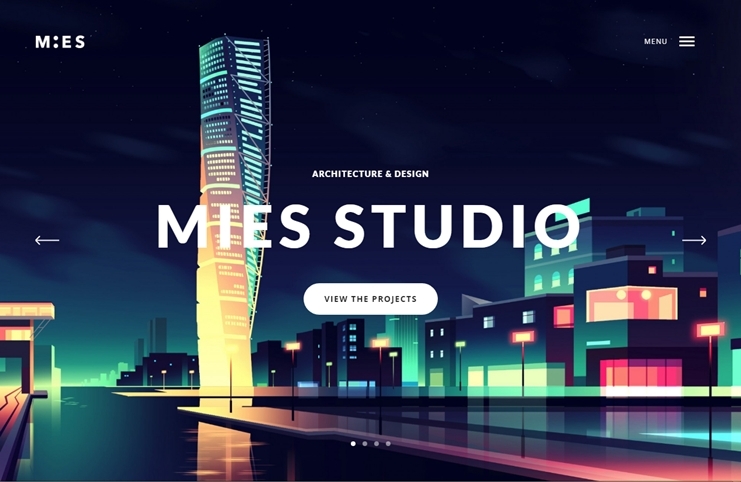 Mies is one of the brilliant wordpress themes for architects in 2018. 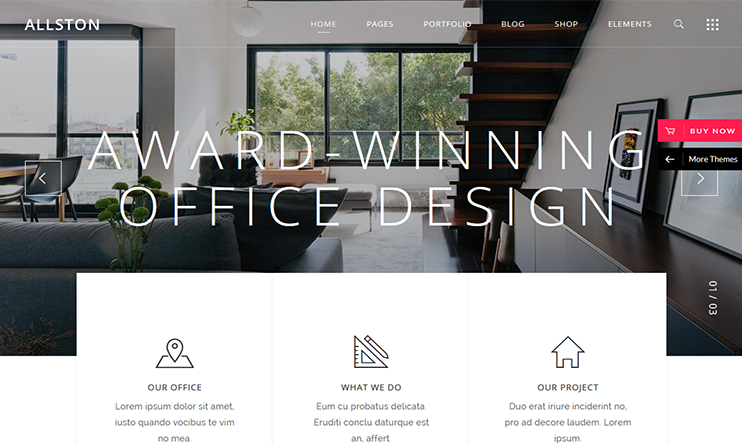 You can use this theme to create a website for architect, engineer or an architectural firm. MIES is beautifully designed. The theme allows full-screen images and parallax scrolling. With MIES you can display your projects with beautiful portfolio options. You can present your work the way you want. The theme has it all to let your visitor filter and view your work easily. For customizing the theme, you can use the live customizer. MIES is speed optimized and is SEO ready. The theme has a clean code. The admin options are plenty and let you change the theme appearance easily. MIES allows WooCommerce integration for e-commerce features in your site. Kalium is a creative theme that can be used to display your architectural designs. The theme has multiple demo templates, one of which is 'Architecture'. Install the dummy data and you have a ready to use architectural design theme. With included Visual Composer, you can create web pages with drag and drop options. With this theme, you have shortcodes for every element. To display your work and projects you have unlimited portfolio options. This theme is so easy to use that you won't require any coding skill at all. You also have abundant theme options to customize the theme. 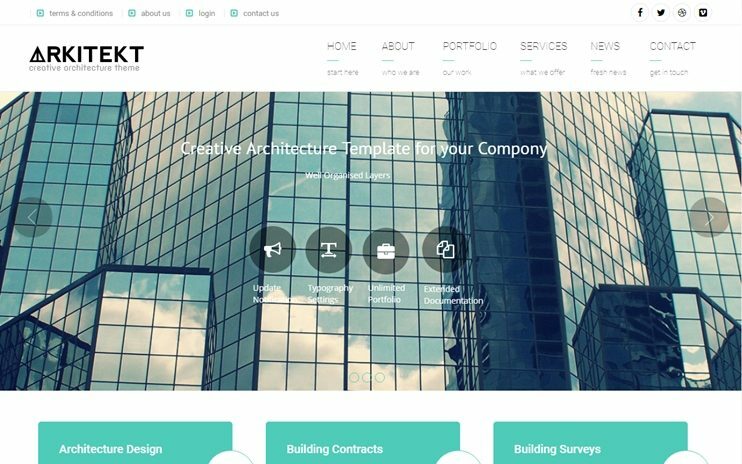 Though Kalium is multipurpose, it has all the features like WordPress themes for architecture firms. Construction, as the name suggests, is a theme typically designed to make a construction business’ website. Well, don’t see this as a limitation. This theme can be used for creating a website for any kind of business. It will help you create a website where you can put on all your business details like the kind of work you do, services you provide, the reviews of your customers, the profile of your employees, pricing/taxing policies, your future plans, contact form, etc. 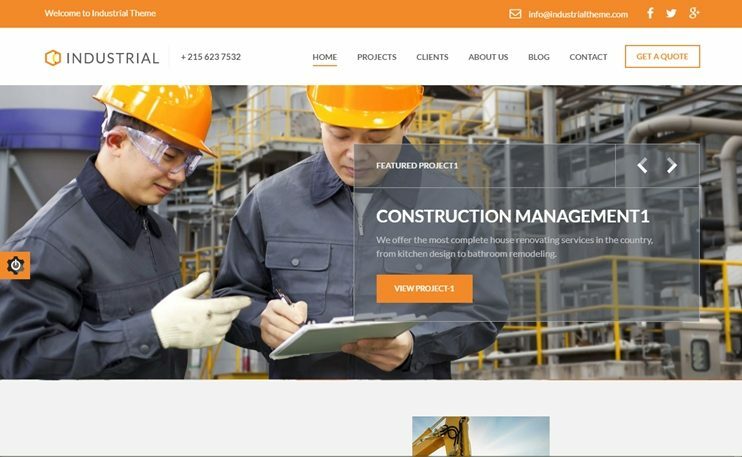 Construction theme is for you if you want to create a business website. The main highlight of this theme is its front-end editing. 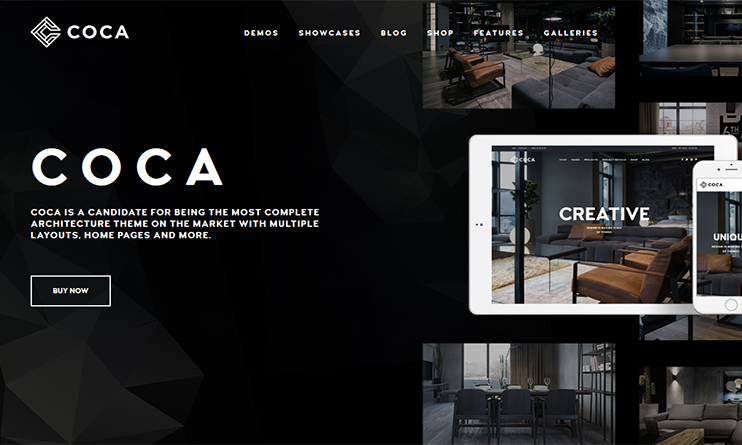 Coca is a clean, minimal design and modern responsive architecture WordPress theme. The theme is easy to use and comes with powerful shortcodes to build your website. Coca is compatible with Visual Composer, Slider Revolution, WooCommerce, Real 3D FlipBook, Image Map Pro, Google Maps, MailChimp and more. Coca is easily customizable and supports video, google maps and have unique 40+ inner pages and designs. The theme comes with 15+ unique homepage designs and well optimized with SEO. You can easily create your own website as Child theme is included with this theme and well documented for developers. Inteco is an interior design premium WordPress theme especially designed for interior designers,architects,landscape design industry and others.The theme is clean,minimal and easy to use and comes with a powerful framework Goodlayers.It has multiple layouts and designs with unlimited sidebar and color skin options to choose from. Inteco is well optimized with SEO, Full Responsive and compatible with popular plugins like WPML and WooCommerce to create an online sale and purchase of products. 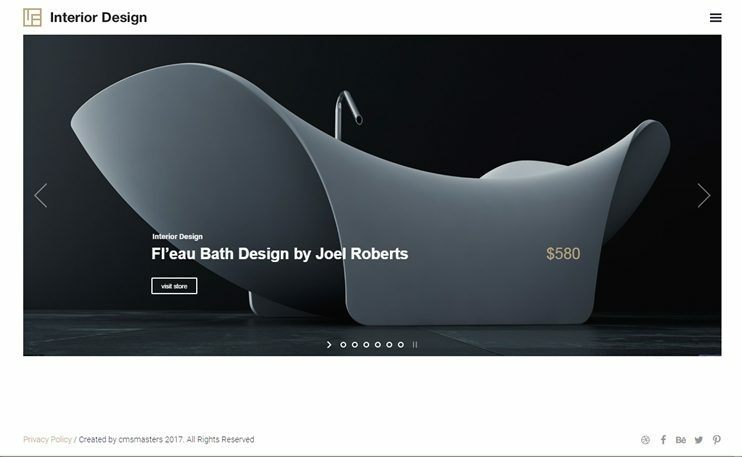 Ambient is a modern and creative interior design WordPress theme designed for designers and architects. 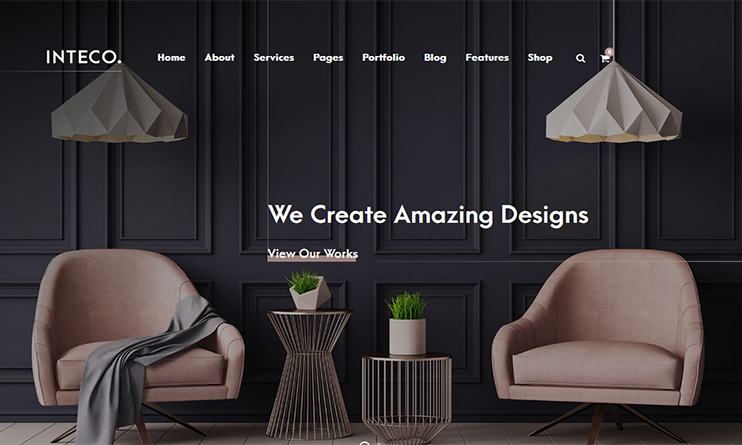 The theme has stunning interior design and layouts and moreover, it comes with 10+ Homepage demos and inner pages so you can easily customize your site as per your needs with no coding skills required. The theme is very much responsive and child theme included. Ambient comes with large collections of theme styles and designs and you can choose your own design layouts for each portfolio pages, inner pages, single pages, and blog pages. You can customize your own header and footer layouts and Mega Menu section. The theme supports popular plugins like WooCommerce and Contact Form 7. 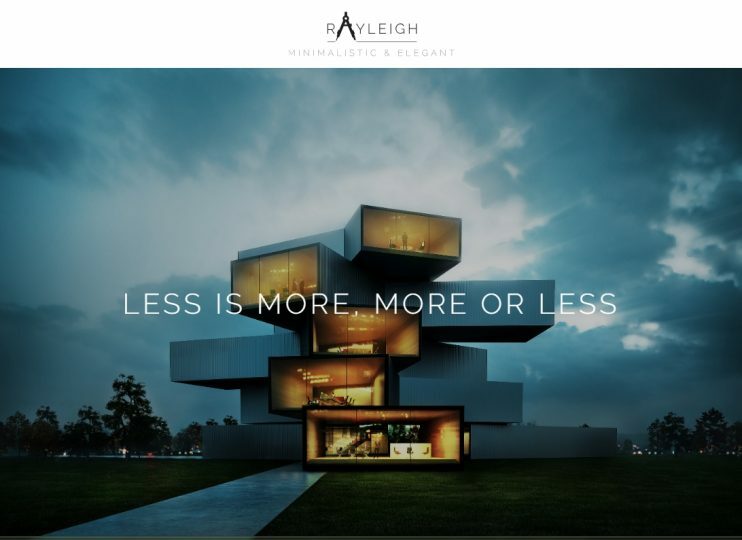 Rayleigh theme is a responsive architecture WordPress themes. You can create a website that displays the architectural ventures. The theme has super awesome menu support. Rayleigh features a fullscreen homepage slider that is optimized for touch. You can set an image or video for this slider. It is touch optimized too. Using JQuery the theme design is made beautiful and interactive. The theme styling can be managed easily using the shortcodes. The code of the theme is clean and well commented, should you ever need to tweak it. It is SEO Optimized and child theme ready. 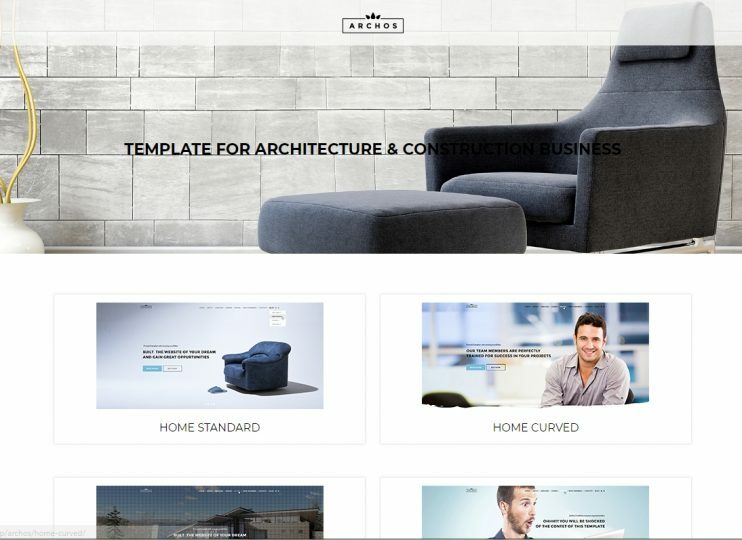 Apex is a responsive construction WordPress theme which is best suited for any building or construction-related businesses. Use Apex to create a site for builders, architects, contractors, building companies and more. The theme is powered by Foundation, one of the best front-end frameworks available today. The homepage of this easily adaptable construction WordPress theme is special because it allows for a lot of variety. The page is entirely widgetized so even larger elements like the slider can be moved around the page or deleted completely with simple drag n’ drop. Use Apex to showcase any building-related business online with style. 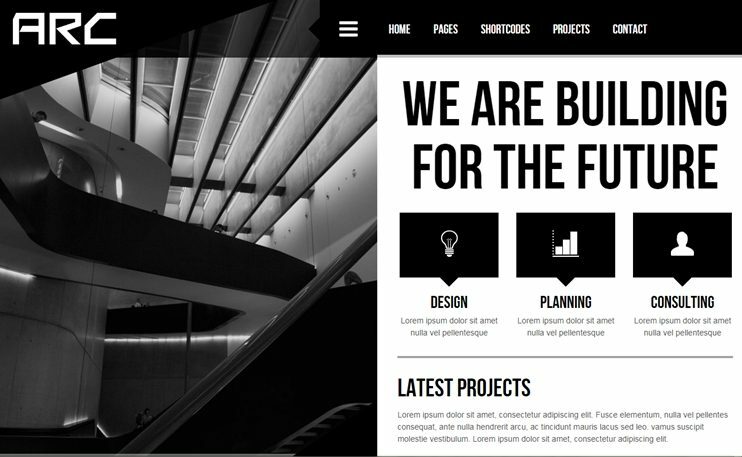 Architecture, is one of the most amazing WordPress themes for architects for 2018. It's easy to use and has lots of features as well as customization options. This theme comes with a drag and drops page builder and a live color customizer. You can manage the slider with the drag and drop slider manager. Change the background and font with the available options or upload new. You also have pricing tables to display your pricing plans. With the options available in the admin panel you can change the theme behavior completely. Architecture is SEO optimized. Allston is a clean and contemporary WordPress theme designed for interior design and architecture use. The theme comes with multiple homepages and inner pages which can be imported in real time. It is well supported and compatible with Visual Composer and Revolution Slider plugin. It comes with powerful admin panel layouts to control the site. This architecture theme is fully widgetized and customized with shortcodes, layouts and includes awesome fonts & icons. It is well optimized with SEO and translation ready and compatible with WPML. 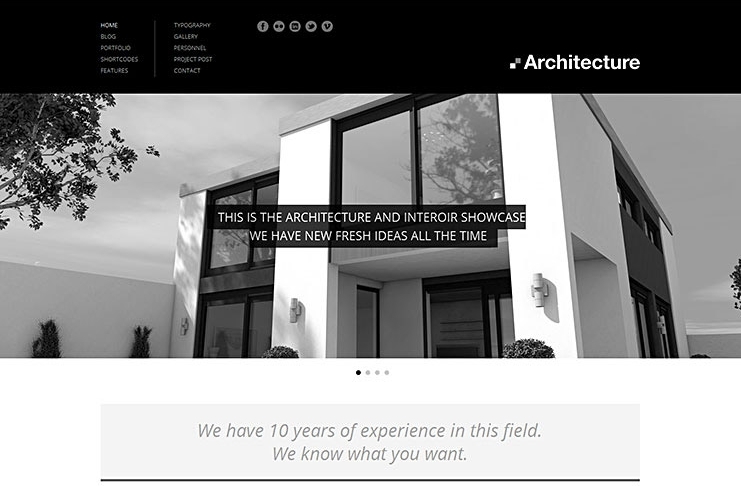 This is a premium architecture - arkitekt WordPress theme. The theme is ideal for creating website for architectural firm or an architect's personal website. Arkitekt allows a visual Composer to create pages. So design your pages with drag and drop options. Arkitekt is SEO ready. It also comes with a child theme template included for advanced customizations. You can change the theme setting with the advanced admin options. Arkitekt can be customized as per your needs. Modernist theme is designed for architects, engineers, interior/exterior designers and construction business owners. It has all the features to let you display your skills and explain your work to the people. It has the Umbrella theme options, to manage the theme's look and behavior. These options are intuitive and let you change the theme behavior and look very easily. You have purpose-oriented custom post types and custom widgets. For social sharing, the theme comes with custom social links ready. 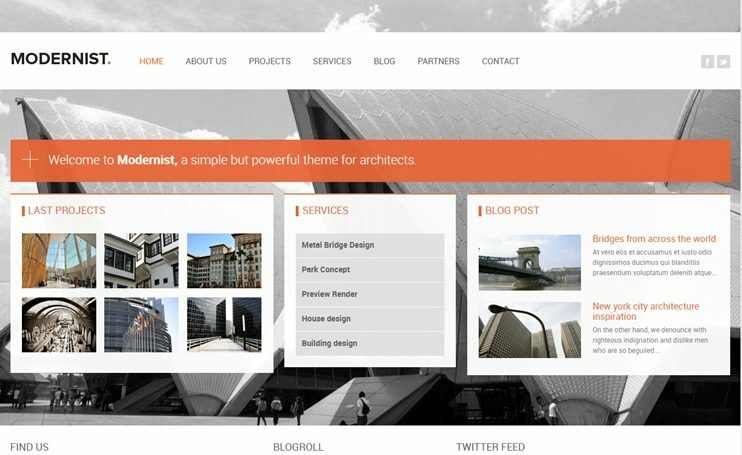 Avanter is an architecture engineer WordPress theme. With Avanter, you can create a website for an architect, or construction work business. You can totally change the color scheme of your site. There are unlimited options for changing the color of the scheme. You can display your skills using the unlimited portfolio options. You can also create unlimited sidebars. The theme supports WooCommerce too. Arc is specially designed for architects to create their websites in 2018. But with the flexible options provided, you can use it for almost any purpose. With Arc you have custom shortcodes and custom widgets to style your content. With the powerful Admin panel, you can customize and manage the theme very easily. You can choose from the available menu options. The theme also has options for creating portfolios. Arc also comes with and under construction page. Matisse is a highly customizable architecture multi page wordpress theme. It is an elegantly designed theme. You can use this theme to display your architectural skills or designs. But that's not the limitation. The theme has many other applications too. Choose the menu styles as per your design. You also have 12 pre-designed page templates. Matisse offers unlimited customization options. Change the theme colors with the color selector. With the portfolio options, you can showcase your work creatively. You are provided 2 types of portfolio to choose from. The theme is SEO optimized and child theme ready. 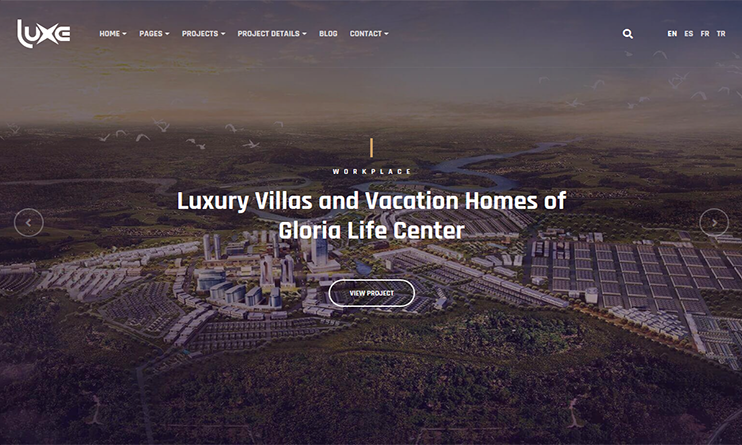 Archos is a flexible and one of the best wordpress themes for architecture firms. You can use this theme to showcase your skills and ideas using a website in 2018. Archos come with different layouts and presentation styles. Archos is SEO friendly too. The theme support different border layouts too. It has integrated google maps too. To change the styling, you can use custom css. For making interactive content you can use the Font Awesome icons. The theme also supports custom css to change the styling of the website. 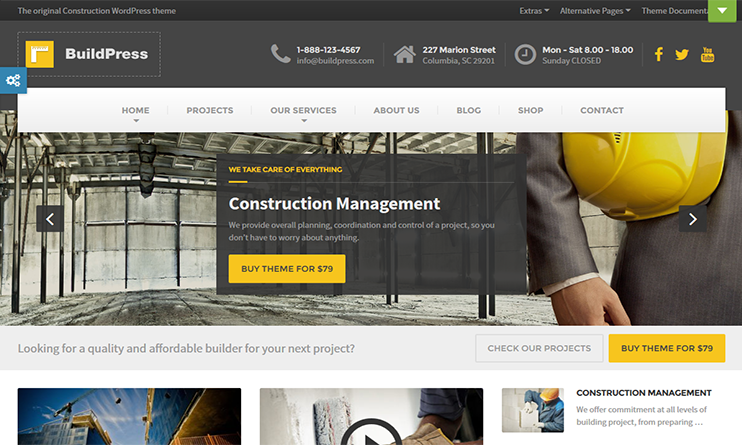 Hnk is one of the wordpress themes for architect company. 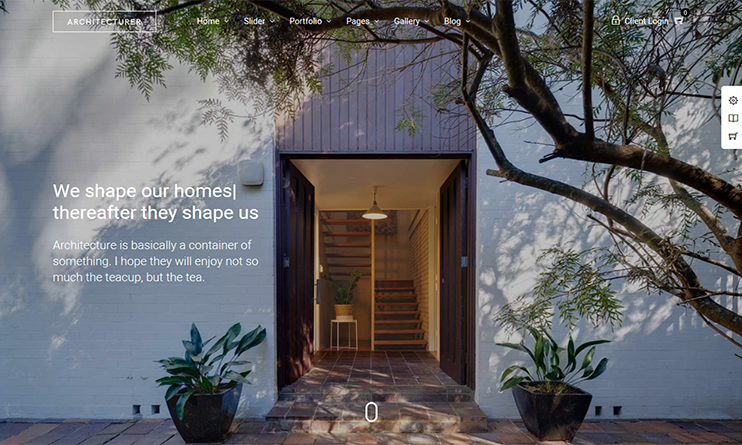 It is one of the interior/exterior design and architecture websites templates. It is feature rich and flexible. 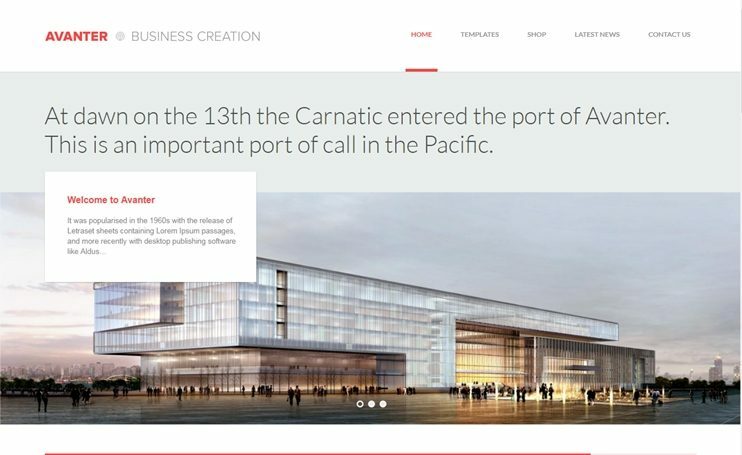 You can customize and use the theme to create any architecture business related website. With Hnk there are multiple options for displaying projects on your website. You can create pages using the Visual Composer page builder. It comes with a few pre-designed project detail pages and you can change them as required. Hnk allows WooCommerce integration for e-commerce facilities in the theme. Hnk is SEO optimized too. Interior design is a simple yet stylish theme. It gives you unlimited customization options. 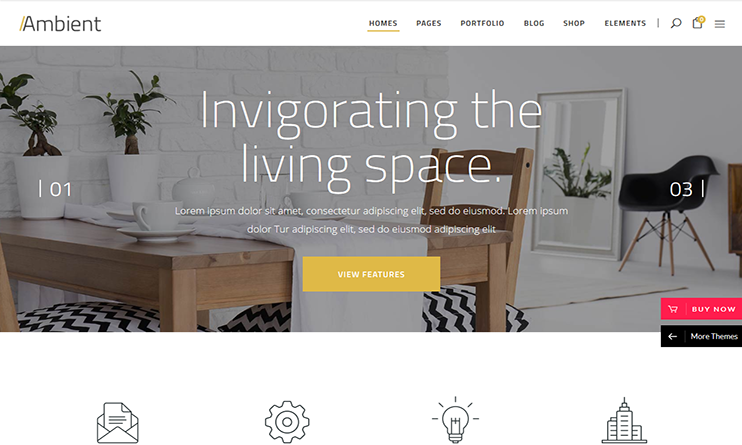 You can use this theme for interior designing website, architecture, furniture or design studios. With Interior design, you can choose from the portfolio styles to display your content. Display your work using image galleries. Create pages with the drag and drop visual composer. You can also set animations to some of your content parts to make the pages more interactive. If you want to sell using your website, you can do that too using the WooCommerce plugin. There's also the feature in the theme to introduce yourself and your team. Interior design is SEO optimized. Arkitek is a Premium Architecture WordPress theme lets you create feature-rich websites. The theme has a simple and beautiful design. Moreover, it has features to let you display your architecture ventures on your website. With Arkitek you can elegantly show your services and introduce the team. There are some custom widgets you get with the theme. The themes option panel is full of customization options. Arkitek has a clean code, that can be easily extended to add features. 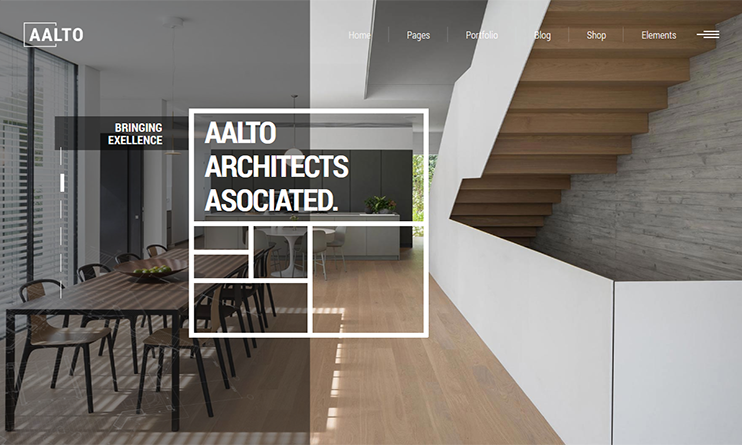 Aalto is a refined architecture and interior design theme which comes with 10+ homepage templates and multiple inner page design elements. The theme is easy to use and customizable. It supports popular plugins like Visual Composer and Revolution Slider along with a large collection of custom shortcodes and layouts that you can design a creative website. The theme is fully widgetized and custom sidebar options are included and compatible with WooCommerce, Contact Form 7 and WPML plugin. 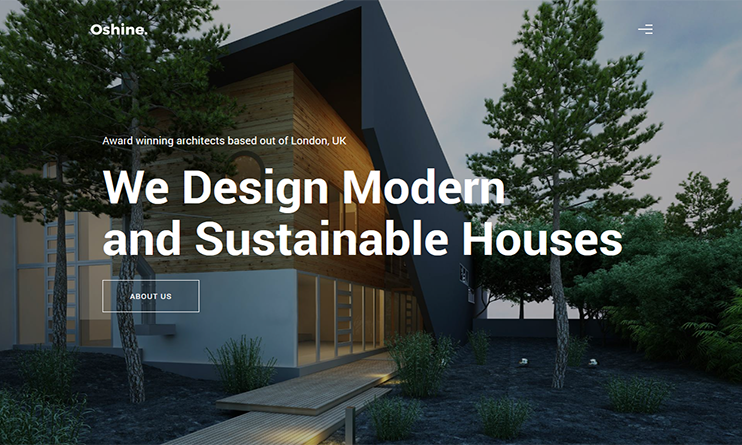 Modern architecture WordPress theme is a beautiful and easy to use WordPress theme for architects and design firms. It has a clean design that focuses on your content, so you can highlight the facts of your business. The theme is totally SEO optimized and mobile friendly. And you get a free video overview too. 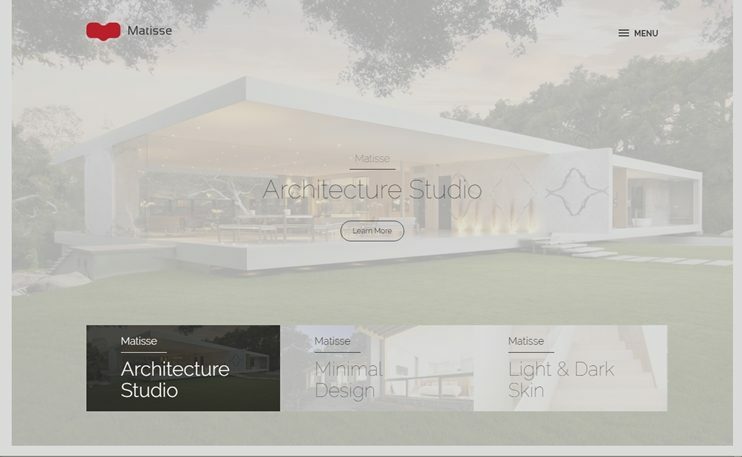 If you want to create a minimal website for your architecture or interior design firm, this theme is for you. 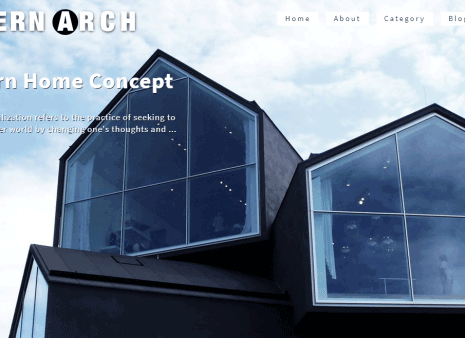 Architect is one of the best architecture wordpress themes. With Architect, you can create a one page or multipage website for any architecture related business. Architect allows you to choose from the available demos. With the layout builder, you can design the layouts for your website. Moreover, there are plenty of options for the theme layout customization. The theme files come with a clean code and Css3 animations on page elements. Architect is child theme ready too. Industrial is a theme for architects, work men, or any such industry. It allows you to create a comprehensive website with the flexible options and abundant shortcodes. Industrial is WooCommerce compatible. The theme comes with a WYSIWYG content composer. So, you can create content very easily. With the theme customizer, you can customize the theme. You can style the content using the shortcodes. Industrial comes with a noticeably extended set of shortcodes. With Industrial you also get a contact form builder. The theme is SEO ready. Void is a high quality WordPress portfolio theme that you can use for a number of purposes. If you are an architect/interior or exterior designer, you can create an online portfolio using this theme. This responsive portfolio theme lets you twist the page designs with the visual composer drag and drop options. It is fully customized and comes with number of options to manage the look and feel of your WordPress website. 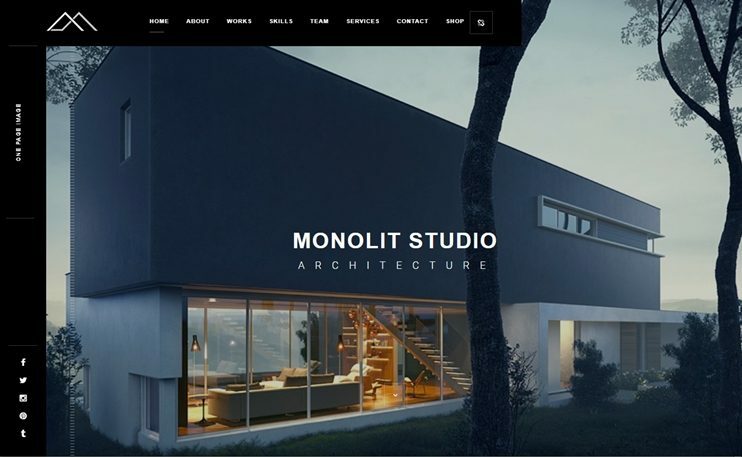 Monolit is a beautiful WordPress Theme for architure. It has an attractive design with full screen image/video background as well as beautiful parallax sections. You can create a onepage or multipage website using this architecture theme. You can use the Visual composer page builder for drag and drop page building. Moreover, the Monolit WordPress theme for architecture supports WooCommerce for eCommerce features on your website. Dogma is an elegantly designed theme. It is perfect for photography or architecture websites. With Visual composer you can create unlimited page layouts. So design the required pages on your own. You can choose from the homepage and portfolio layout styles. The Redux options framework gives you unlimited opportunities to customize the theme. Moreover, the theme code is clean and easily extensible. User experience is enhanced by the smooth ajax transitions. Dogma is SEO optimized. 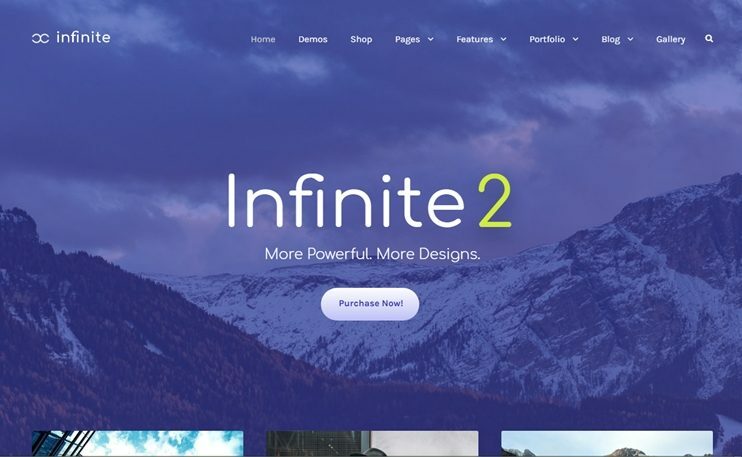 Infinite is a Multipurpose WordPress theme with 21+ beautiful demos, 19 header layouts and more than 6 footer layouts. Even though the theme is designed for corporate business websites, it can be used for different purposes. The theme is compatible with WooCommerce and WPML. It allows Visual Composer page builder for easy drag and drop page building. Moreover, this Multipurpose WordPress theme is SEO friendly and RTL ready. 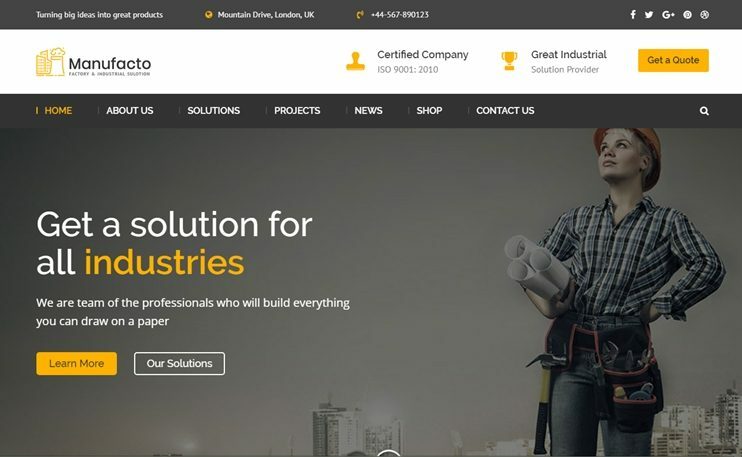 Manufacto is a WordPress theme for manufacturing industries,factories and plants. This Architectural WordPress theme comes with core features such as the news blog section, team news, testimonials, service pages, etc. This WordPress theme is easy to customize and you can change it easily with the available options at the backend. Moreover, you can use the Visual Composer page builder to create pages for your website with easy drag and drop options. 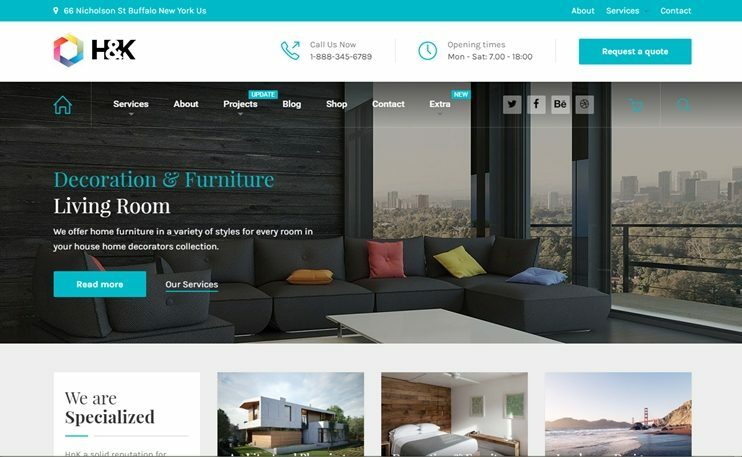 Insidect is a WordPress theme for architects and interior designers. It has beautiful design and various page layouts to choose from. The clean, minimal and stylish design of this architecture theme is perfect for all sorts of architect and interior design studio websites. You can use plugins like Visual Composer and Revolution Slider to make your website even more attractive. The Insidect Architecture theme is Translation ready and WPML compatible so you can build your site on your own native language. 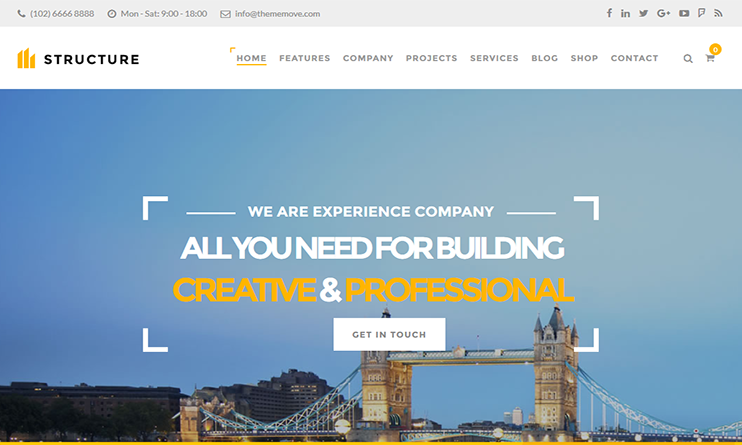 Kons is an elegantly designed WordPress theme for Construction and Building company websites. It comes with enough features and options to create your own unique design sites that you can use for your companies or corporate houses. You can choose from the multiple homepage layouts to customize your WordPress website. Besides, you can use the powerful plugins like Visual Composer, Slider revolution, WPML, etc. 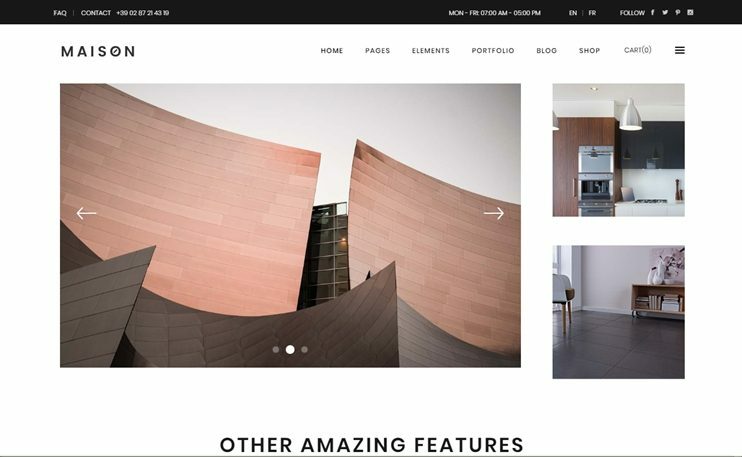 Ratio is a powerful Architecture,Construction and Interior design WordPress theme. It comes with abundant page layouts and portfolio designs.This architecture themes comes with more than 15+ homepage designs and 6 menus styles that you can choose from. This multipurpose architecture theme is compatible with Visual Composer for easy page building, WPML for multilingual websites and many premium plugins. Ratio also supports eCommerce powered by the WooCommerce plugin. 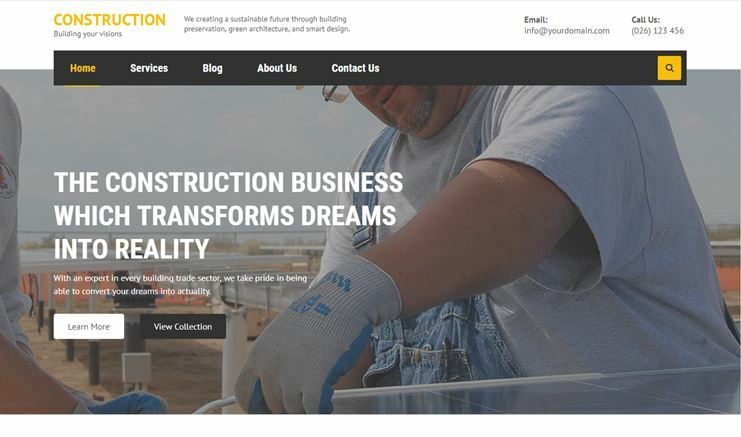 Maison is a construction business WordPress template that comes with more than 10 homepage layouts. The Architecture theme comes with the classic blog layouts and portfolio designs to choose from. This Architects and Interior Design theme are compatible with WooCommerce plugin for eCommerce features. Besides, you can use the Visual Composer page builder to create pages of your choice. Oshine is a clean & modern, creative multipurpose WordPress theme designed for designers, photographers, freelancers, models and other. With the help of simple layouts and portfolio designs you can create simple e-commerce or multi-lingual websites without any coding required. The theme consists of multiple demos which you can import with one click install feature. One of the key features of Oshine theme is that it is compatible with TATSU, an elegant live and powerful frontend page builder which comes with more than 50+ page modules and layouts that you can choose to easily build your website. 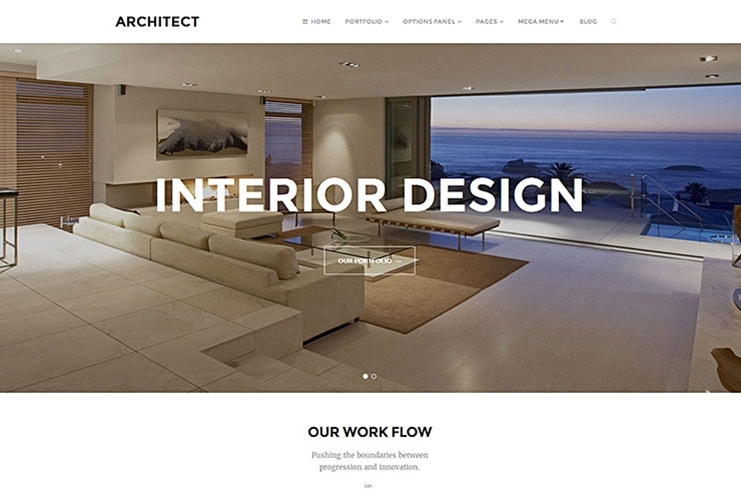 Architecturer is a popular elegant interior design & architecture WordPress theme designed for interior designers, architects, landscape design industry and many more. The theme has a unique design and multiple layouts for homepages, portfolio pages, single pages, and blog pages. The theme is clean and responsive. The theme is compatible with popular Elementor page builder plugin to design own custom templates and layouts for your site and supports other plugins like WooCommerce, Contact Form 7, WPML and many more. 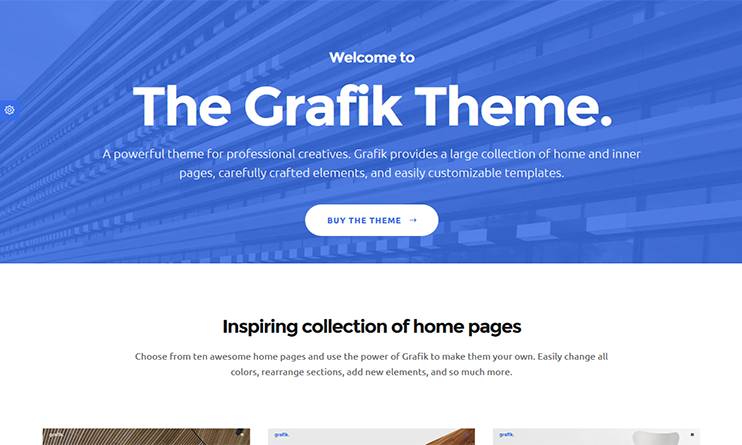 Grafik is a beautiful architecture and portfolio design wordpress theme. The theme is easy to use and consists of multiple homepages and inner pages templates and element designs. The theme has many innovative features with powerful admin panel, one click demo install, multiple header & footer layouts, mega menu options and many more. Grafik comes with large collections of portfolio pages and layouts. The theme is well optimized with SEO and responsive. It is compatible with Visual Composer, WPML, Slider Revolution, WooCommerce. And the theme is child theme ready so you can create your own child theme for your site. 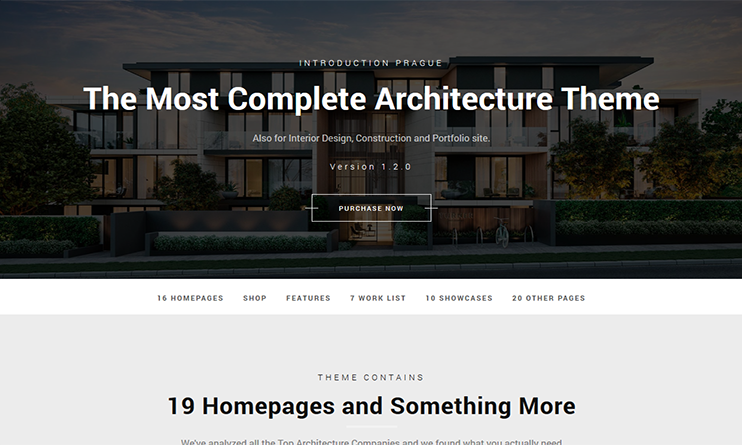 Prague is a clean minimal and responsive architecture WordPress theme designed for architects and interior designers. The theme is well supported by Visual Composer and Revolution Slider plugin. Prague theme is well optimized with SEO and has unique designs and layouts. The theme comes with more than 10+ homepage options and more than 40+ inner page layouts to choose from and easy to customize your own website with no coding skills required. 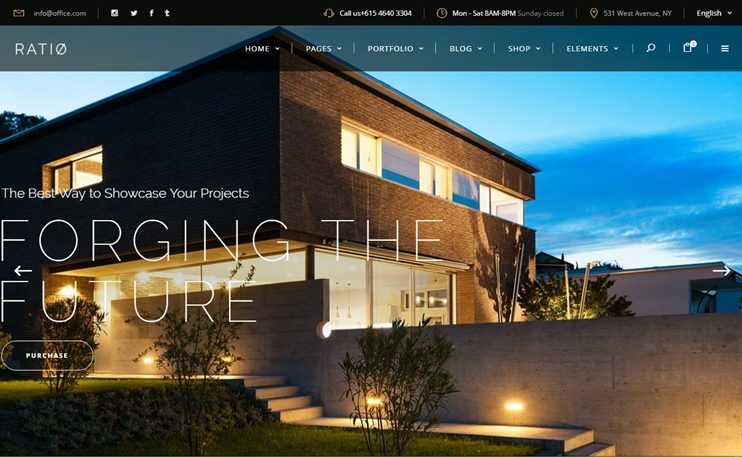 Luxe is a creative and advanced architecture & interior design WordPress theme designed for designers and architects. The theme is easy to use and comes with unique homepage and inner page designs and styles with more than 50+ page builder elements to create a beautiful creative website. The theme is easy to use and with one click demo content you can import all your page elements and demos on your site. Luxe is well documented and supported with popular plugins like Visual Composer, Slider Revolution, WPML plugins and the theme is very much responsive and comes with child theme support. It is well optimzed and SEO friendly. 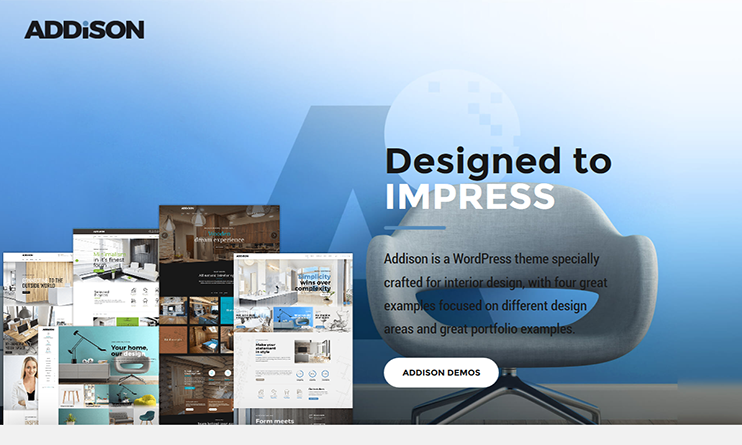 Addison is a creative design architecture WordPress theme which is fully responsive, easy to use and customizable. It comes with unique demo content which can be imported with one click demo install feature. The theme is well supported with WPML, WooCommerce, Cost Calculator and provides general features of default WordPress customizer options. You can easily customize your site using popular drag and drop page builder like Bold Builder and with unique shortcode options for inner pages you can design multiple layouts and creative website. It has multiple page layouts and sidebar variations and you can design your own child theme for creating a website. 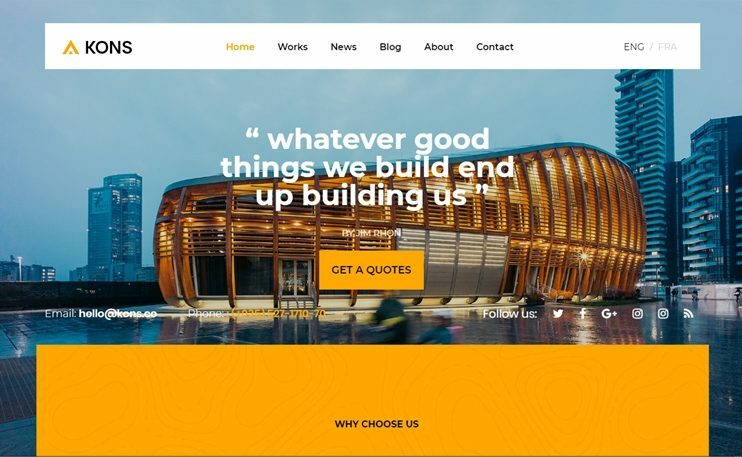 BuildPress is one of the best-selling multipurpose construction and landscape niche WordPress theme designed for construction businesses. It is easy to use and customizable. With Visual Composer plugin, you can create your own unique page designs and templates. You can import the demo content with the one-click demo installer. The theme is fully widgetized and unlimited sidebar options can be used. BuildPress supports Essential Grid Gallery Plugin, WooCommerce, Contact Form 7 and many default WordPress plugins to make the site more dynamic and flexible. The theme is very much responsive and retina ready. 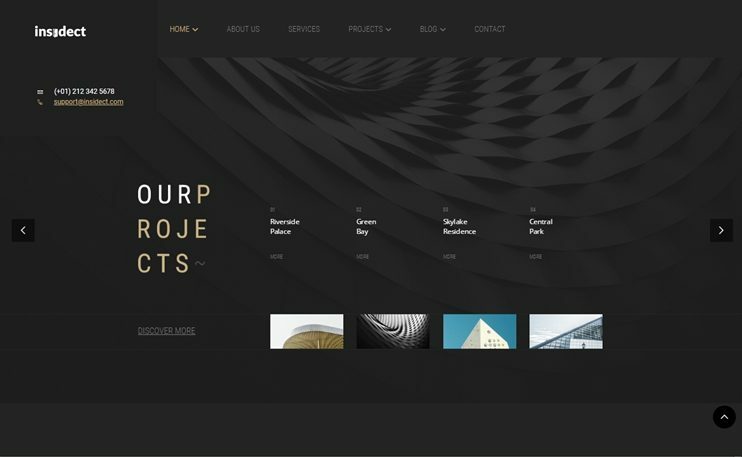 Structure is a popular responsive WordPress theme designed for construction, engineering and architecture company. The theme is clean and compatible with WooCommerce and popular drag and drop page builder like Visual Composer along with Contact Form 7, Templatera and Mailchimp for WordPress.It comes with 15 homepages and unique color schemes which can be imported with 1 click install. Essential Grid and Slider Revolution plugin are another premium plugin included with this theme. You can design your own header and footer layouts, Live customizer, sticky header, unlimited color options and WPML ready are additional features included to create a beautiful constructive website. 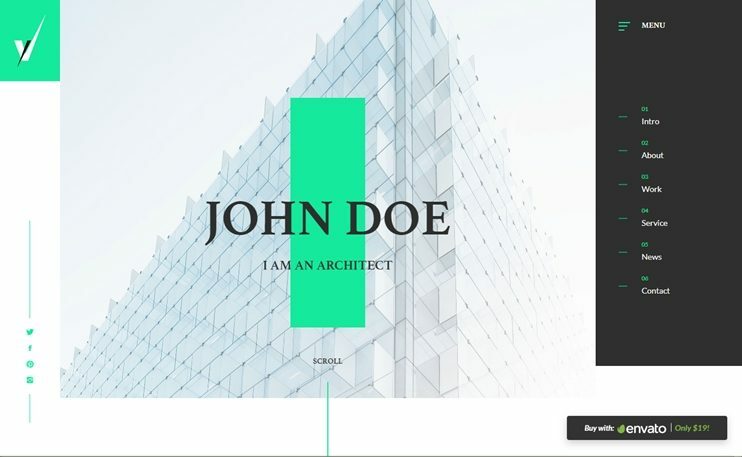 So these were the best WordPress themes for architects and designers. Which one did you like the best? Feel free to share your insights or previous experiences with us. Use the comment section below to leave your opinion regarding the best WordPress themes for architects, interior designers or contractors. Thanks for sharing this amazing theme collection. Thank you for your feedback! Which theme did you choose and why? Kalium and Rayleigh is having very different look and feel so I’m planning for this themes. I’m very glad that you found some themes useful. 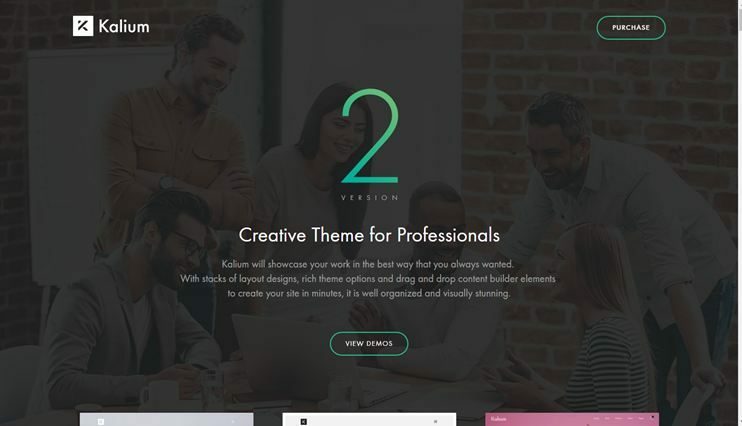 Rayleigh and Kalium are amazing themes and will definitely let your website stand out. Let me know if you have some specific questions about this themes or any other WordPress in general. Rayleigh is the best theme. The theme is responsive and clean. Thanks for this collection. Nice Collection of themes. Best place for people searching for clean and elegant themes. Which theme do you like the most which are your favorite and why? Very impressive templates especially kalium theme. These themes are nice and useful in my design work. Thank you very much.